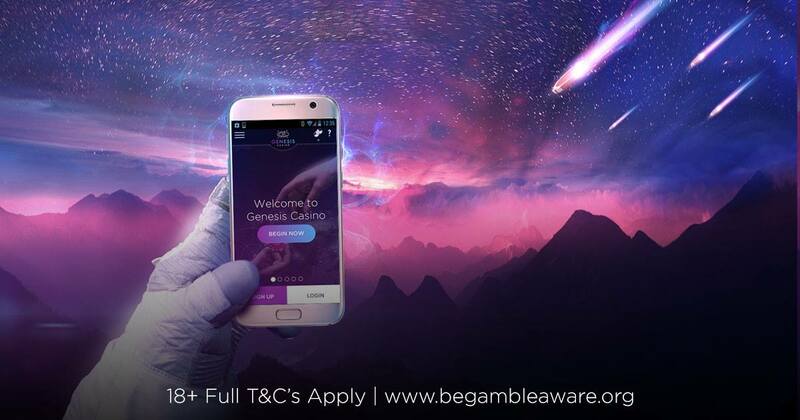 Genesis Casino Review: Find Out Why You Should Join This Casino! Promising new casino with a great theme and excellent playing experience. We do feel there’s a lot to improve on. We feel that this casino is trying too hard to be visually the best, while lacking in other important departments. For example, it’s a little hard to find instant and clear information on bonuses and the VIP program. Customer service isn’t 24/7 and withdrawals are on the slow side. Everything else such as quality of customer support, range of games and gaming experience are top class for a new casino. 18+. New customer offer only. BeGambleAware. Withdrawal restrictions & full terms and conditions apply >>. We finally have our first true space themed casino, straight away you’re hit with the space blues, purples and flying astronauts. 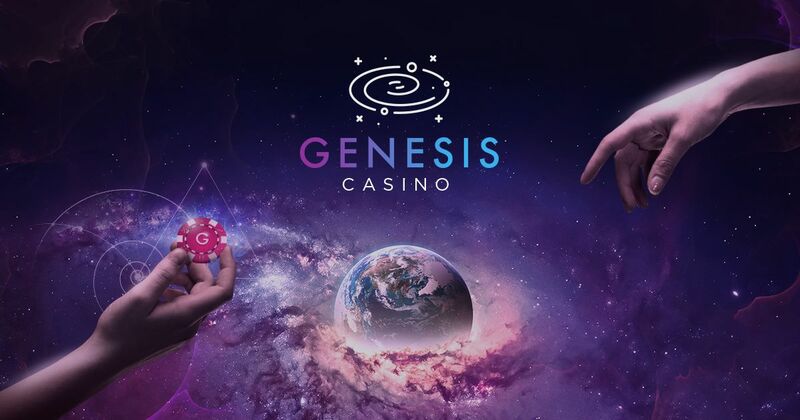 Genesis is a new casino part of same group that run Spinit and Sloty casino, which are decent brands both in terms of experience and offering. If you’re a fan of these brands, you’ll like Genesis casino too. Read the rest of our Genesis Casino review to find out more in detail about what this new online casino has to offer. Genesis casino is full of bonuses and free spins to claim. To get you started new players to this casino can claim if you choose to 100% up to £100 + 300 Free Spins on Starburst. Claiming this bonus is made during your first deposit. Click the “deposit” button on the top right of the page and select the bonus from the drop-down menu. The minimum deposit is £10, giving you £20 to play with. The maximum is £100. The 300 free spins on Starburst are awarded in lots of 30s. 30 free spins per day awarded at 12.00 GMT are awarded to your account for the next 10 days after first deposit. These fee spins are valid for 72 hours. For regular players there is a weekly 25% up to £100 to claim on Fridays. To claim this bonus, you need to make minimum deposit of £10 on Friday (meaning you get £12.50 to play with) plus make an additional deposit (s) totalling £50 during the previous 4 days (Monday – Thursday). The bonus is valid for 14 days after bonus funds being credited to your account. It’s important to understand that if the wagering requirements are not met during this period (x40) the bonus and related winnings are removed from your account. Every Monday there are free spins to claim. To claim the free spins you need to deposits and play with £10 or more on the previous Thursday to Sunday. You’ll receive an email each Monday containing the details of the number of free spins and which game hey can be played on. The free spins will be credited to your account on Monday at 12PM UK time. You need to be opt-ed in to receive Genesis Casino email communications to receive the free spins. There is a loyalty program to join at Genesis which is invite only. This means that if you play enough you’ll receive a dedicated invite to join the Genesis Casino loyalty program. Being part of this VIP program entitles you to the following and extremely rewarding benefits: A dedicated account manager, exclusive bonuses sent to your inbox, tickets to exclusive VIP events, monthly VIP draws, birthday presents personal withdrawal service, holiday packages and flights to Las Vegas. These days you can expect a good mobile site, and this is the case as Genesis. There is no mobile app, so access is by your device’s web browser. The mobile site is extremely easy to use and has one of the best mobile casino layouts. Straight away you get the impression that this casino is live casino focused. Don’t let that fool you. Although there is a great live casino experience to be had there are plenty of slot games to get excited about. You can expect games from the best software providers such as NetEnt, Microgaming, Play’nGo and NYX. There are over 1300 games to play ranging from slots, jackpot games and casino & table games. Roulette, blackjack, Texas Hold’em and Caribbean Stud are all available to play. Customer support is available via Live chat, email and telephone support. There is also a very good FAQ section for those basic casino related questions. Customer service isn’t 24/7. To access the help page, click on the “question mark” icon at the top right of every page. Telephone support is available by contacting 08007555348, it’s a free UK number. Email support is available via support@genesiscasino.com or complaints@genesiscasino.com. Genesis as a range of banking options this include Visa, MasterCard, Boku, Skrill, NETELLER, Paysafecard, EcoPayz, Trustly and EcoPayz. The minimum deposit amount is £10 with the maximum £5,000 depending on deposit method. To make a deposit click on the “Deposit” button located on the top right-hand side of every page. From there select the payment option you want and enter the amount you wish to deposit. Follow the remaining instructors to complete the deposit. There are plenty of options available when making withdrawals. Time taken to complete withdrawal vary depending on method chosen. Visa, Mastercard and Entropay withdrawals take between 1-3 days to complete. E-wallets like NETELLER, Skrill and EcoPayz are instant. All withdrawals are free of charge. The minimum players can withdraw per transaction is £10 with the maximum £1,900. The maximum amount players can withdraw from the casino per month is £22,000. The weekly limit is £5,500. VIPs get higher limits. We rate Genesis Casino a 7.9 out of 10. For such a new casino this isn’t bad at all and if your looking for a new up comming casino to play at then this is the one.